I predict that cosmetics firm Olay will announce an anti-aging cosmetic product specifically based on stem cells in some way soon. But can stem cell technology now really make you younger? No, according to the best science; maybe at some point in the future. Yes, according to a hypeful HuffPost piece, which discussed work by a research team at the University of Sheffield in the UK. The HuffPostpiece is entitled “Fountain Of Youth Discovered By Awakening Skin’s ‘Sleeping’ Stem Cells, Researchers Say”. 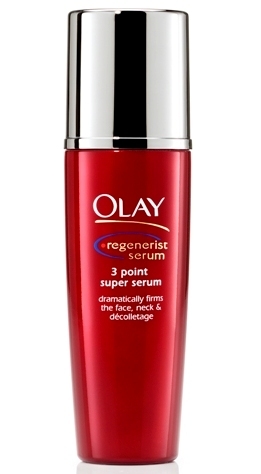 The work was funded by Olay, which makes the “Regenerist” line of skin products. No conflict of interest there, eh? It is also key to note that as far as I can tell the researchers never claimed anything like a Fountain of Youth discovery. So who wrote the HuffPost piece? We’ll likely never know. It actually makes sense, theoretically at least. However, I’m not convinced that this work, published as a paper in Nature Scientific Reports, has the elasticity and depth to be stretched to support such dramatic clinically-oriented statements. The paper itself is somewhat interesting, but got turned into hype somehow via an unknown author on HuffPost. You might have noticed the title of my blog post. Did I mean Rip Van Winkle or Rip Van Wrinkle? Both. Wake up the sleeping stem cells (akin to Rip Van Winkle) to get rid of wrinkles. As I said at the beginning of the post, look for Olay to soon come out with an explicitly stem cell-based regenerative skin care product. They already have their Regenerist line of skin care anti-aging products. I believe that stem cell-based products from Olay are on the way! Kathy Ireland Stemáge Stem Cell Product: Part 1, is it a drug? I do not see any cosmetic company spending the money and time required for clinical trials. Keep in mind that cosmetic companies getting into the stem cell arena to date have not bothered with anything remotely similar to clinical trials, data, or regulatory issues.